We all know very well that the tech giant Apple always prefer spring for its event every year, and according to the latest rumors and reports, soon the tech giant Apple would launch the new iPhone SE 2 and not only even the well-known YouTube channel, ConceptsiPhone brings us the concept of iPhone SE 2 as well. 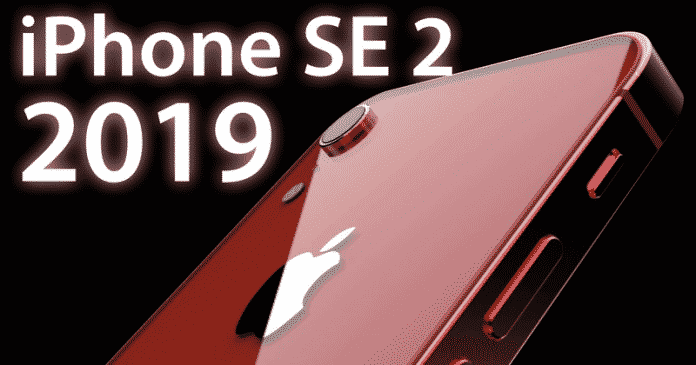 According to the latest rumors and reports, the tech giant Apple would launch the new iPhone SE 2 and not only even the well-known YouTube channel, ConceptsiPhone brings us the concept of iPhone SE 2 as well. An iPhone that retains the characteristics of the iPhone SE and makes a design mix with the iPad Pro 2018. The creator of this concept Gunho Lee was inspired by the rumors that have been released on the internet about the iPhone SE 2. As you can see in the following video clip, the iPhone SE 2 would have flat sides and probably the tech giant Apple could soon manufacture it according to the latest iPad Pro 2018. As in the video, it is clearly visible that the all-new iPhone SE 2 would incorporate a Face ID as a security system in addition to showing the characteristic of “notch” that emerged from the iPhone X. And unlike its predecessor the all-new iPhone SE 2 will not have a start button or Touch ID and not only that as the concept video also suggests that this release could occur during the spring. However, for now, there are no more rumors indicating a possible release date. We all know very well that the tech giant Apple always prefer spring for its event every year, but right now there is no official confirmation is available regarding the presentation of the all-new iPhone SE 2. However, there are arguments to think about a possible launch of an iPhone since the iPhone SE was launched at an event earlier this year and recently discontinued for the whole world, but, the fact is that the tech giant Apple recently officially sold it again in the US. The launch that I commented previously was a boom in sales, as many users who had not had an iPhone or who wanted to update theirs, simply bought this special edition of Apple iPhone. Basically, the iPhone SE carries the essence of its predecessor iPhone 5S that has brought many improvements along with it. While now if we move this to 2019, then the tech giant Apple could surprise us once again, and as it never hurts a new launch personally, we would like a new generation of this model. As offering a renewed entry option this year would have a lot of impacts since the latest models of the company are judged mainly by their price and little room for improvement before the toughest reviewers. So, what do you think about this? Will the tech giant Apple be able to renew one of the most attractive iPhones in its product catalog? Simply share all your views and thoughts in the comment section below.